The 28 Days long Annual festival is the specialty of this temple. The main ultsavam (Annual festival) begins on ‘Thiruvathira’ of ‘Dhanu’ (month in Malayalam Era) and ends on ‘Thiruvathira’ of ‘Makaram’. Special poojas will be there during these days. This festival attracts thousands of people from different locations in Kerala and also outside the state. Shivrathri is another important festival of this temple. 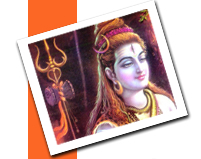 Shivrathri is an important day for all devotees of lord Shiva. A large crowd assembles here in this festival. Arayas of Alappattu in Karunagappalli, comes here on this day and performs poojas and vazhipads. This custom was started centuries before in connection with the renovation of the temple. This holy event is conducted on every 1st day of Thulam (month in Malayalam Era). On this day 36 paras (measurement in Malayalam) of Neyy (Ghee) will be showered on the ‘Shivalingam’. This tradition was started in connection with the finding of the shivalingam. The ghee is collected from devotees and normally gets more than hundreds of ‘Paras’ as offerings. Chitra Pournami is another important festival at this temple. This is an important day for the devotees of Devi. Special poojas are conducted on this day. All Rights Reserved. No part of this site may be reproduced without the explicit permission of the owners. 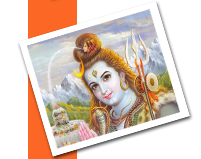 This website is dedicated to all the Devotees of Chengannur Mahadeva Temple.